Jeff Miller is a furniture designer, craftsman, teacher, and author of woodworking books and articles (he's also a former classical musician, and a dad). Jeff's furniture has been shown in galleries and shows nationwide, and has won numerous awards. His furniture is in the Decorative Arts Collection of the Chicago History Museum. Jeff's latest book is The Foundations of Better Woodworking, from Popular Woodworking Books. 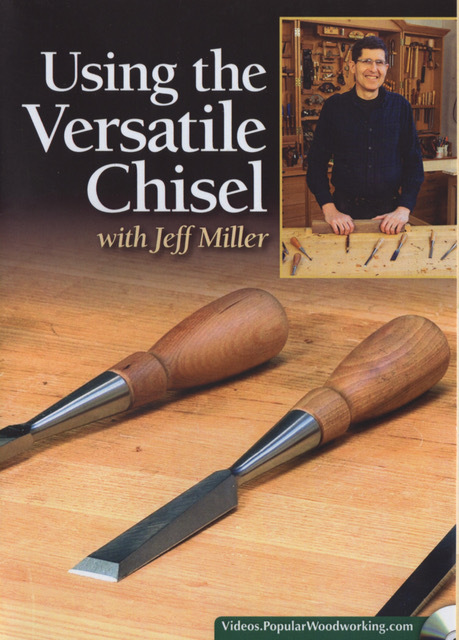 Jeff's first book, Chairmaking and Design, was republished in December of 2006 by Linden Publishing. The companion dvd, Chairmaking Techniques, is available from The Taunton Press. Both won the 1998 Stanley Tools Awards for the best "how-to" book and video. Jeff's second book, Beds was released by Taunton in the fall of 1999. And his third book, Children's Furniture Projects was released in 2002. Jeff is also a co-author of Storage Projects for All Around the House (Taunton Press, 2005), and Furniture for All Around the House (Taunton Press, 2007).